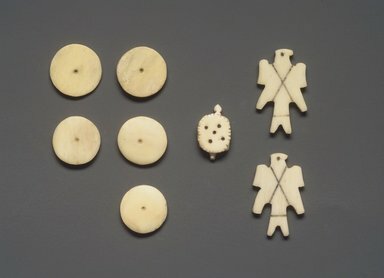 Seven dice in total: 5 round bone pieces and 2 falcon-shaped bone pieces. They are pictured in "Objects of Myth and Memory." Each die has a component of 11.694.9000.1a-g painted on it, e.g. 11.694.9000.1a.